I have been to Australia before, namely to Brisbane, Melbourne and Sydney. 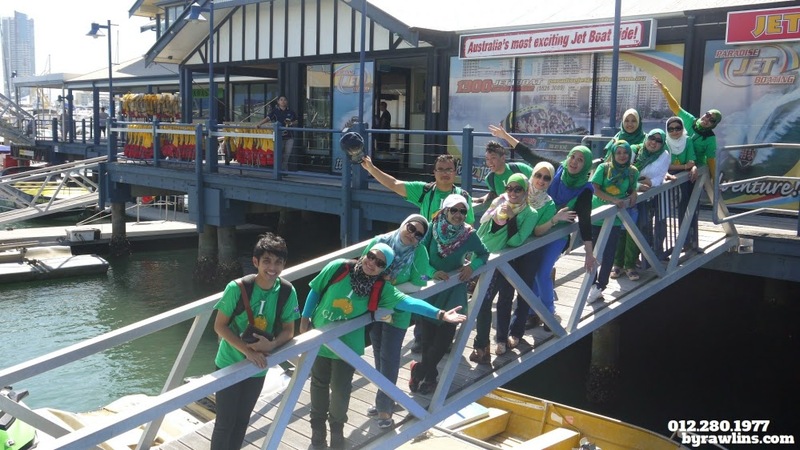 I attended a seminar in Brisbane for 4 days and went for a holiday with friends to the latter. Yes, it was fun visiting another country but the budget was a bit tight. Nothing beats a #FOCtrip @ #FreeTrip right fellas! Who doesn't love freebies should stop reading as there will lots more freebies being mentioned in this post! Luckily for me, as a #GLAMpreneur, I am entitled to three FOC oversea trips annually. I managed to went for my very first #FOCtrip to South Korea, way in September 2013. 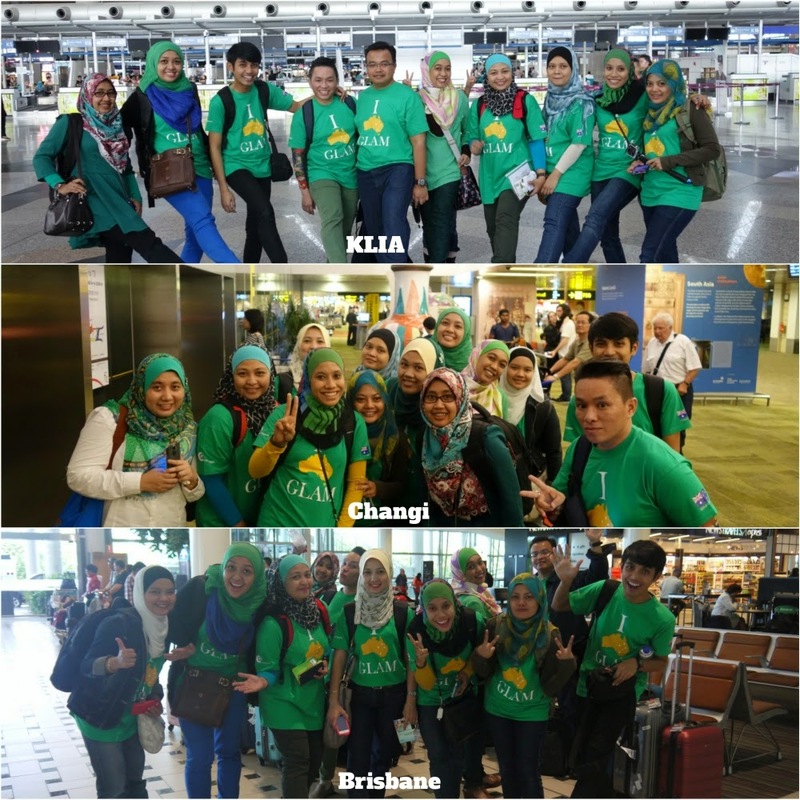 And just last week, 15 - 20 February 2014, a group of 100 #GLAMpreneurs/ #HanisHaiziProtege went for another #GLAMjourneys. 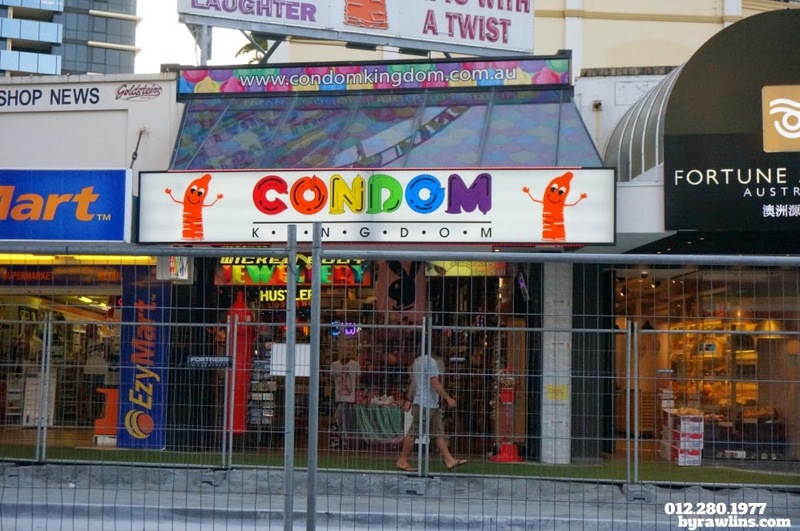 This time it was Gold Coast, Australia! 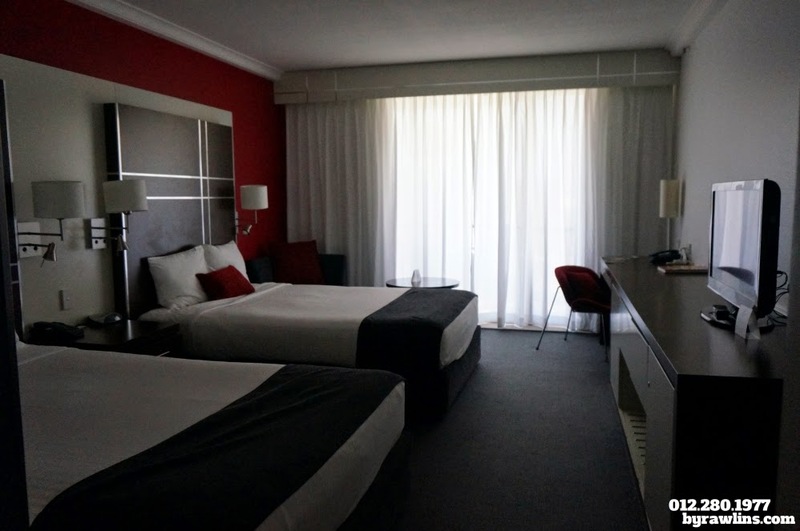 And guess what, we stayed in Outrigger Hotel, Surfers Paradise, Gold Coast, Australia! Beach and party, here I come! 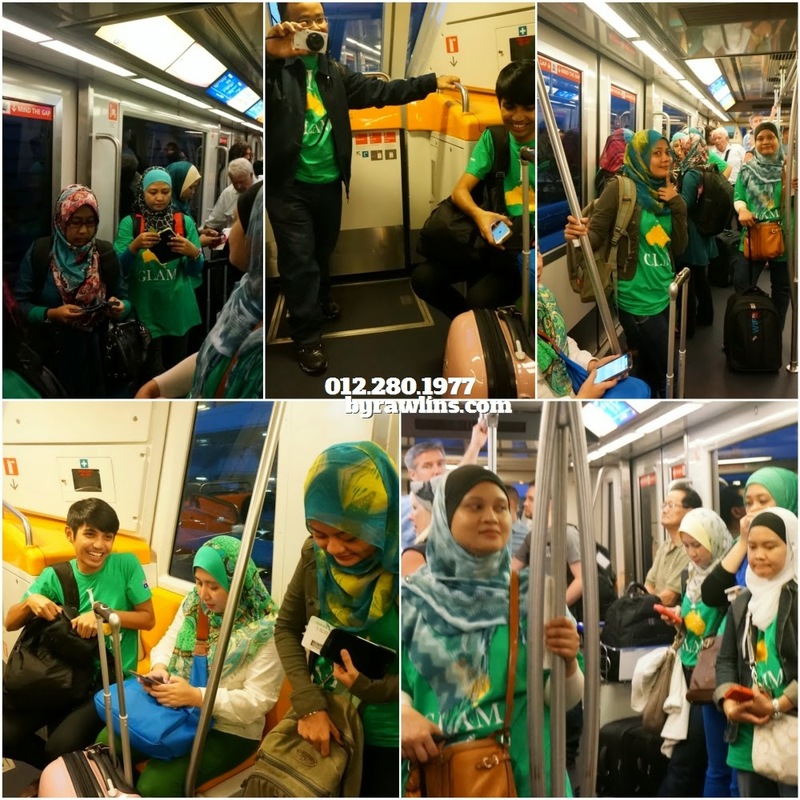 So, on 15 Feb 2014, Kuala Lumpur International Airport (KLIA) was swarmed with #GLAM people clad in green shirt. 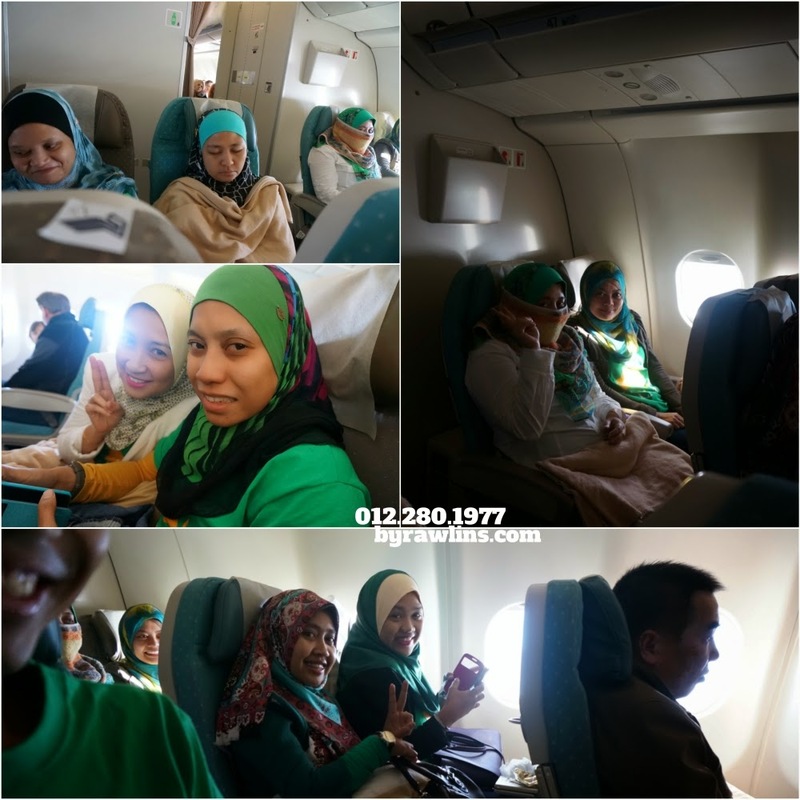 This time around, I was traveling with one of my business partner, Alia Bakar. I vowed to myself that I will be bring more of my business partners to the very next #FOCtrip @ #FreeTrip to Shanghai. At 6.30pm, our flight departed for Changi Airport, Singapore where we will be boarding the Singapore Airline leaving for Brisbane at 12:45 am. While waiting for our flight, we were given a 20 Singapore Dollar coupon by the company, for us to shop around in the airport. Yeay! Freebies again! On board, we were served supper accompanied by a very rich chocolate ice-cream. And it was almost 2:30 am! Talking about travelling in luxury! We arrived in Brisbane at 9:30 am, local time. Do you see a photo-bomber there? Me and my signature pose! 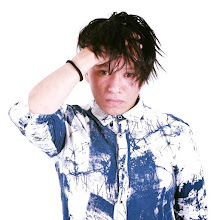 Please do not mind the blowing shirt! 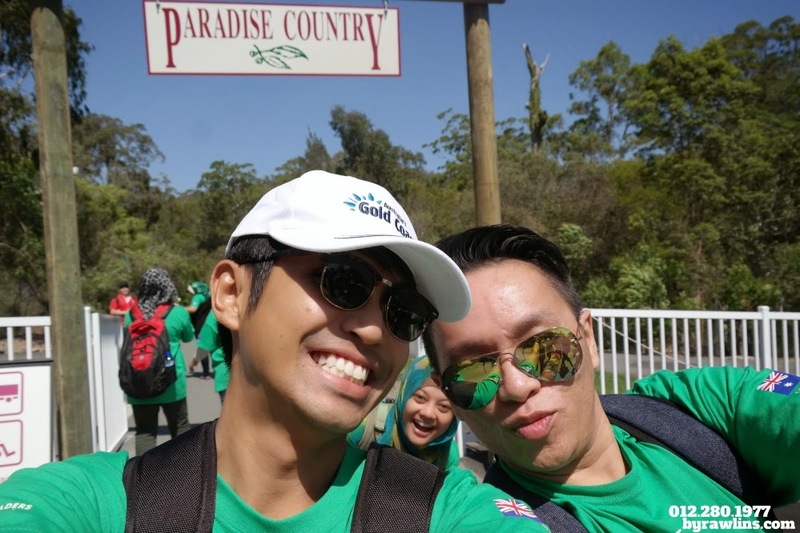 Without wasting time, we went straight to our first destination, Paradise Country Farm. 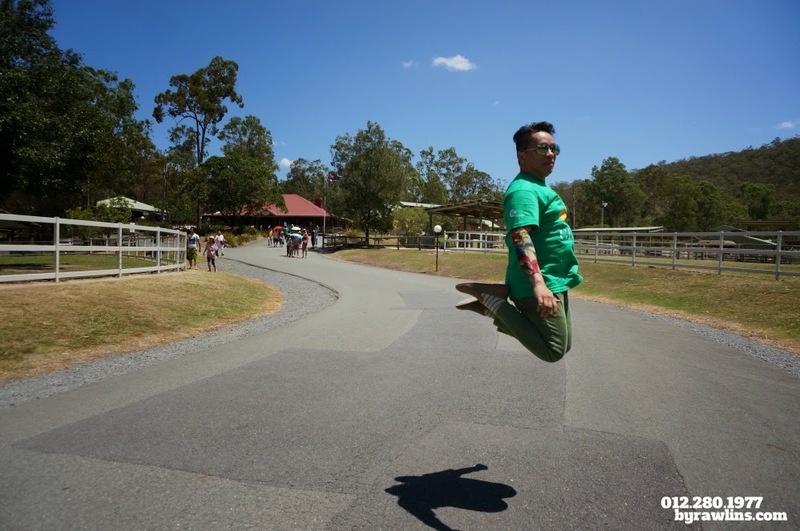 Here, we took pictures with the cutest Koala, observed the traditional Billy Tea and damper made, horse riding demonstration, awed by the talented sheep dog and lastly, watched a sheep being sheared! I couldn't stand to watch the helpless sheep so I decided to make an early exit and straight to the lunch buffet, prepared specially for us, for FREE! Truly a local experience for me, minus the sheep shearing. After lunch, we went for a jet-boating experience. What is jet-boating? Jet-boating is a boat ride that is being driven at a very fast speed and along the way, the driver might throw in a few spins and sudden stops that will make one scream and shriek! Not forgetting splashes of the sea water too that would leave you wet! It was a very fun and exciting ride and it lasted more than 15 minutes. After the splashing fun, we checked in the Outrigger Hotel where we will be staying through out the whole trip. Oh My Gucci! The room was so spacious, with two queen beds, and I shared the room with Farouk, my roomie in South Korea. And the view was so breathtaking! The huge room! And so luxurious too! 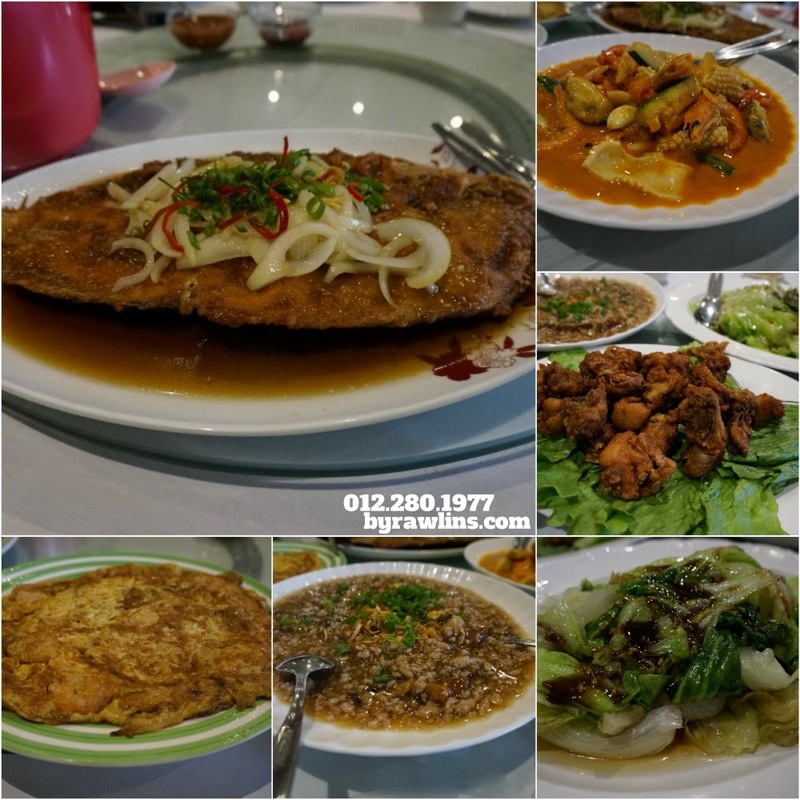 During dinner at the local Chinese restaurant (own by a Malaysian Chinese) that cooks halal food, we were treated to a variety of delicious delicacies. And it is halal. And finding halal food in Australia is not easy, or cheap. Thanks to Hai-O for providing us with the best! Some of us went for a walk by the beach side after the heavy dinner, where accidentally, a night market was going on. But first, it is a must to go to the beach and walk barefoot! 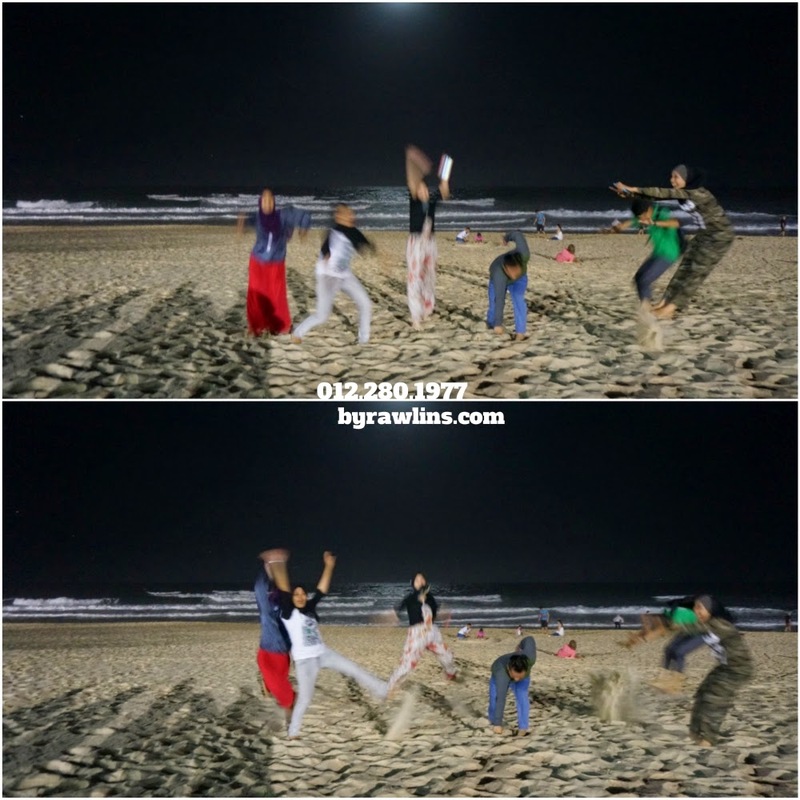 We decided to do a #Hadokening move by the beach, in which you can see, needs further practice. Right after that, we went strolling at the night market looking for items of interest before calling it a night. 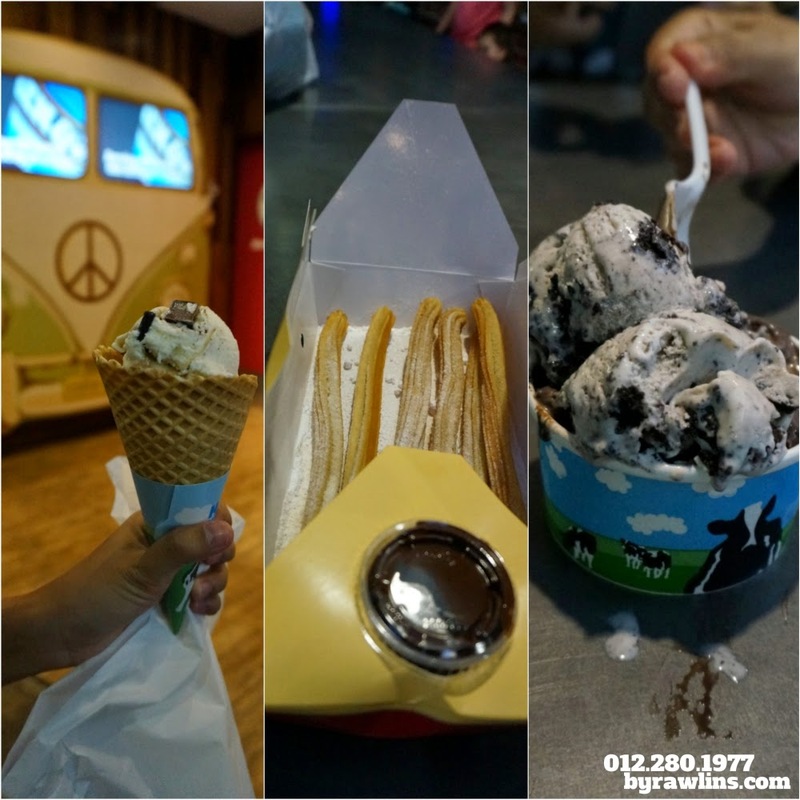 The Ben & Jerry's ice-cream and the super-delicious Churros! 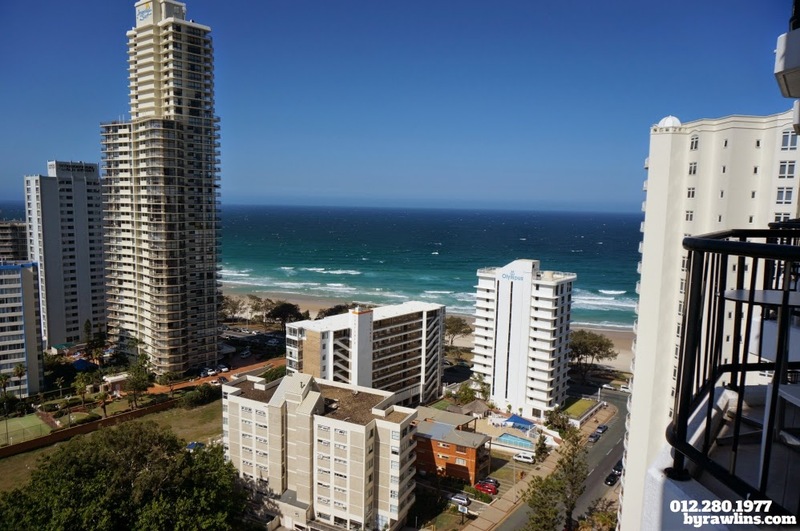 Kindly watch this space for the second day experience in the sunny Gold Coast!